After you’ve listened to music through enough headphones and speakers you begin to realize the amount of enjoyment you get isn’t related just to the music alone but to the quality and character of the listening device. I didn’t come from an audio-savvy family. I spent most of my early life using the cheapest headphones/speakers I could get my hands on. The only speakers I used were the ones that came stock with my computer. Of course, this all changed as my love and appreciation for music grew. I was eventually exposed to hi-fi audio, CD-quality tracks, and acoustically treated rooms. This eventually led me on a path to explore the different subtleties of audio equipment and the effects they can have on the listening experience. That journey was the impetus for this blog. 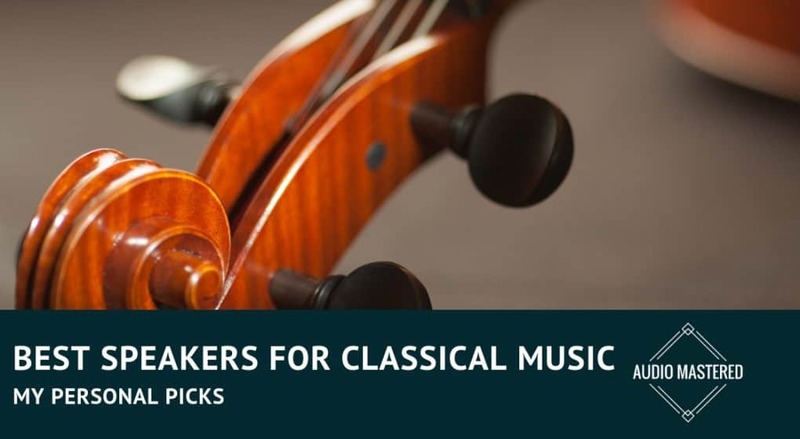 In this post, I’ll propose a handful of consumer-accessible speakers that are well suited for classical music. It’s easy to create these lists and only recommend speakers over $1000, but I feel as though much of my audience is looking for speakers between $100-$500. Full disclosure, I don’t own all of the speakers I’ve suggested, but I’ve had the fortune to listen to them in a reasonable context. Let’s get started by explaining my basic philosophy when it comes to audio equipment. What Makes One Speaker Better Than Another? On its face, speaker technology doesn’t seem very complicated. Electrical signals move drivers that create sound waves. But it doesn’t take an expert to realize different speakers sound better than others. Even with a detailed understanding of the tech it can be hard to discern why. Basically, it comes down to materials, execution, and design. It’s multiple little factors that add up to carve the perfect sound wave as accurately (or as pleasantly) as possible. You’ll always come across audiophiles arguing over the merits of accuracy vs. character. Should a set of speakers strive to represent the sound exactly as it was recorded? Or should they put a unique spin by adding warmth or depth? Personally, I feel like the control of the music should remain with the producer rather than with the speaker engineer. This is particularly true when it comes to classical music. Accuracy is paramount. 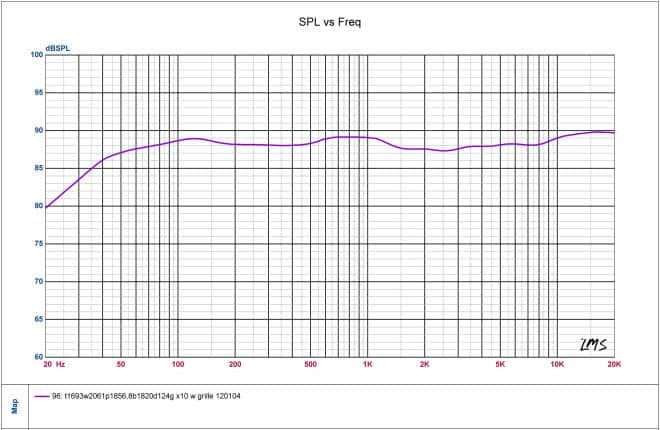 This is why you sometimes see manufacturers bragging about the accuracy of their speakers using SPL charts. The truth of the matter is, each speaker will produce a difference frequency chart. It’s impossible to actually have a speaker that is 100% accurate. But the closer the better – especially for classical music. 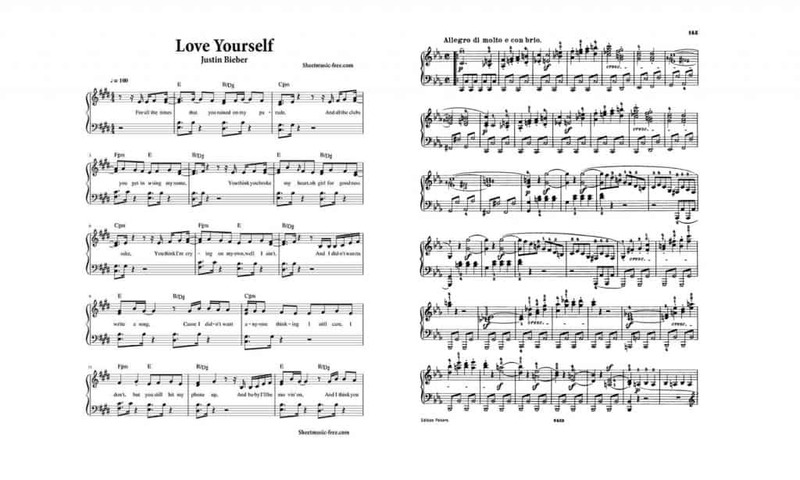 Take a look at the comparison between a modern pop song and a piece of classical music. I don’t have anything against pop music, but it’s evident there is just so much more going on in most classical compositions. Composers meticulously sculpt the orchestra into precise frequency ranges in order to suggest meaning or evoke emotion. In my opinion, classical music requires a level of depth and accuracy in speakers only rivaled by jazz. I want a speaker that allows me to parse out the layers of french horn under the piccolo. The building percussion over the string section, or the violent blasts from the horns. Any eq-boosting or cutting by the speaker runs the risk of muddying the audio and lessening the experience intended by the composer. I know it’s still possible to enjoy the music on colored speakers, but if we are looking for the best option it’s better to strive for the ideal. It’s all well and good to understand why we want better speakers, but how are we going to know when we run into one? Shopping online is difficult when the product requires you to be there in person to experience it. What Makes Good Speaker Material? The materials of a speaker is what is interacting with the air around it. Similar to the way the wood of acoustic instruments determines the sound character, the materials used in speakers play a major role in determining the sound quality. You’ll run into many different types of material in today’s market. You’ll see cones made out of paper, aluminum, polypropelene, or things like ceramic/glass fiber polymer. A perfect speaker cone would need to be as stiff as steel, light as a feather, and able to start and stop on a dime. I find that wood-woven cones produce the best sound quality. 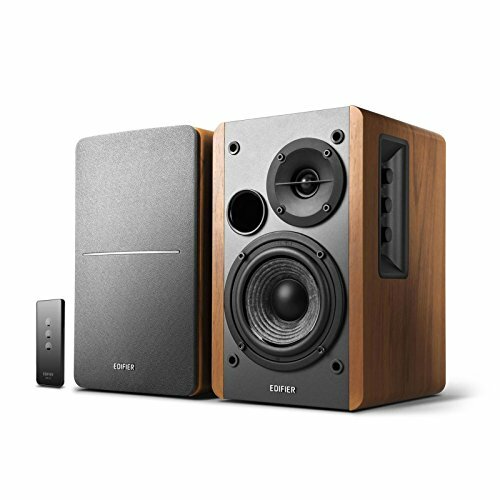 Higher end speakers use materials that won’t flex under pressure. It’s this flexing of the material that produces the unwanted distortions in cheaper speakers. 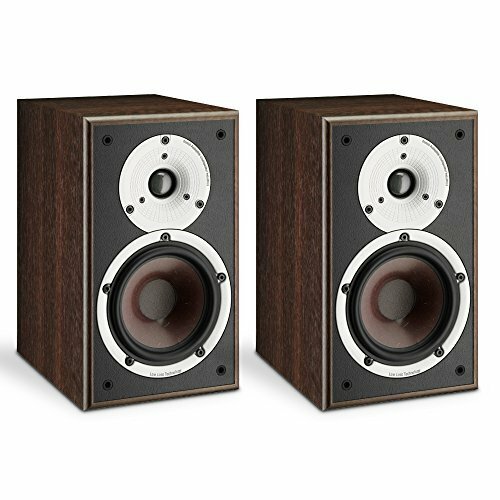 Higher-end speakers will sometimes infuse ceramics into their larger cones to increase the stiffness while other companies focus on poly-carbonates for mid-range cones. Speaker boxes should also be stiff and well damped. They need to have a high resonate frequency so that low frequency sound doesn’t cause it to resonate. 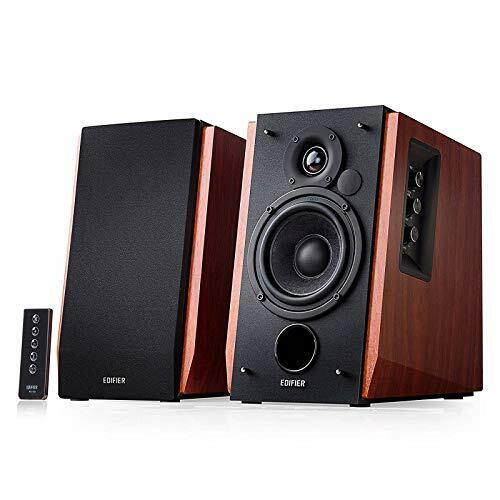 Cheaper speakers typically use MDF while higher-end speakers use materials like poly-carbonates. Speakers are acoustic devices (obviously.) This means they resonate and are impacted by sound pressure waves. Speaker encloses, for example, can trap sound waves inside and produce unwanted interference. This is why you sometimes see speakers that are ‘ported’ – essentially, a whole is cut in the speaker box to allow the lower frequencies to escape. The electrical components also play an important role in the overall sound. 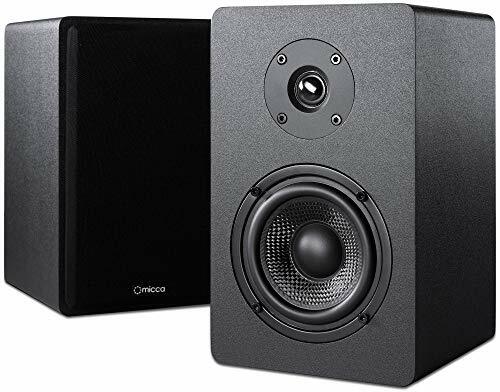 Crossover speakers are necessary to force each tweeter or cone to only produce frequencies that are well within their range. If you’ve picked the perfect materials, thought of every design consideration in detail, and designed the electronics perfectly, you still may not have the perfect speaker. Each and every component can interact with another in interesting and unpredictable ways. The way the sound leaves the speaker can still be unpredictable no matter how much money you’ve spent on modelling. This is why execution is important and why it’s still a major differentiating factor for high-end speakers. The overall execution is nearly impossible to find out without actually listening to the speaker. The good news is, industry reputation can sometimes stand in its place. It takes decades of fine-tuning to get things right. This is why many audiophiles swear by a small handful of companies that have been producing quality audio equipment for decades. We all have our opinion on the best audio company, but I can still enjoy A JBL speaker even if it’s not from Klipsch! I’ve said it before: audio is inherently subjective. It depends on ones taste as well as a number of other things such as how the room responds acoustically. But, I can still recommend a handful of speakers I know will work well with classical music. If you have any other recommendations please feel free to chime in down in the comment section. This speaker pops up in a lot of top 10 lists. It’s not my favorite speaker of all time, but I will admit that it does provide decent value for money. I know not every one of my readers has a spare $300 to spend on a new speaker set. Unfortunately, I don’t own a pair, but I’ve tested them out a bunch in the store. In my opinion, the sound is respectable for an entry-level speaker. You can tell it’s leaning a little towards the low-end. If it were me, I’d cut the bass by 1 dB as soon as I turned it on. I was surprised when I saw that it provided a silk dome tweeter. I suspect the quality of the tweeter isn’t the greatest just given the price range. Bottom line: not my first pick, but it’s a great option for classical music in this price range. Next up, the R1280T’s top contender – the Micca PB42X. It’s actually pretty amazing what Micca was able to cram into this speaker for around $100. It just makes me think they must have cut corners somewhere? I mean, they have a class D amplifier, carbon fiber woofer, and silk dome tweeter. It’s what you’d expect around the $2-300 range. It has a 12 dB crossover with an output of 15W per speaker. In my opinion, enough for small to medium-sized rooms. If you have high ceilings you’ll need to spend more. Again, it’s leaning a little to the low-end. Pretty common for consumer speakers in this price range. It’s ported to help make sure the low-end doesn’t muddy the overall sound. It was blown away when I looked these up on Amazon and saw they had 2,500 reviews! Get out of town! I knew these were popular, but that’s just insane. Check it out for yourself. Bottom line: similar to the R1280T, not my first pick, but another great option for someone on a budget. Now more into my territory, the R2000DB. But, they are still decent speakers! They are much better suited for bookshelf speakers. The sound is much more balanced compared to the previous speakers. I start to believe that the silk dome tweeters are actually quality tweeters around this price range. Notice that the sensitivity of these speakers is still a little higher than high-end speakers. This is where these small differences start to add up. Also, notice that we’re starting to move into the actual wood casings instead of MDF. I’m a big believer in the acoustic quality of wood in speaker casings. They just seem to produce a sound that is richer compared to MDF. Bottom Line: what I would probably buy if I wasn’t looking for something high end. A personal favorite of mine. If you are looking for something in the under $500 range I can’t recommend these enough. Theme of the Dali Spektor Series is simple enough: "Because true hi-fi sound is for everyone." They use a fairly unique wood fiber cone that produces an amazingly crisp rendition of the audio. Seriously, you’ll notice the difference. The detail is fantastic! Keep in mind, these aren’t necessarily for the everyday person. You’ll need to match them with an amplifier which can be tricky if you don’t know what you’re doing. Dali has used some of the same tech they have in their high-end speakers. It really comes down to the dome material and weight. Try finding a test of the audio on YouTube, you really need to hear them to believe. The walnut casing is also a nice touch. Bottom Line: my personal choice for the best speaker for classical. The detail in the sound quality is fantastic. 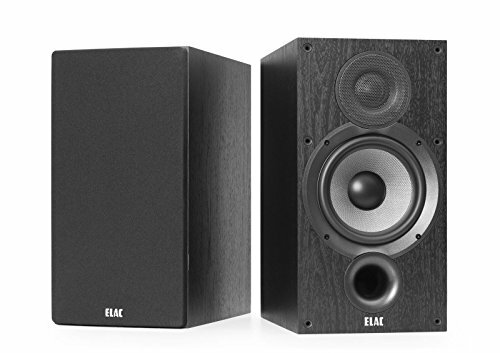 The ELEAC debut 2.0 has received a lot of favorable accolades in the audio community. It was designed by the famous Andrew Jones (love him or hate him.) I actually really like these speakers and think they will make a fine set for classical. Notice they are front ported and internally braced. This helps prevent any unwanted resonance from the casing. The frequency output is well balanced. There was a lot of presence in the low-end with enough sparkle to keep things fresh in the treble. I didn’t really notice it leaning one way or the other. Personally, I would buy the Dali Spektor 2, but these are a good alternative. Bottom line: a great option. Personally, I would buy the Dali Spektor 2. There you have it. Hopefully, this post has given you some context for buying yourself a set of new speakers! Let me know if you think I’ve missed anything!